A beautiful swimming pool enhances the look and functionality of your property and truly become outdoor entertainment areas for the whole family to enjoy. 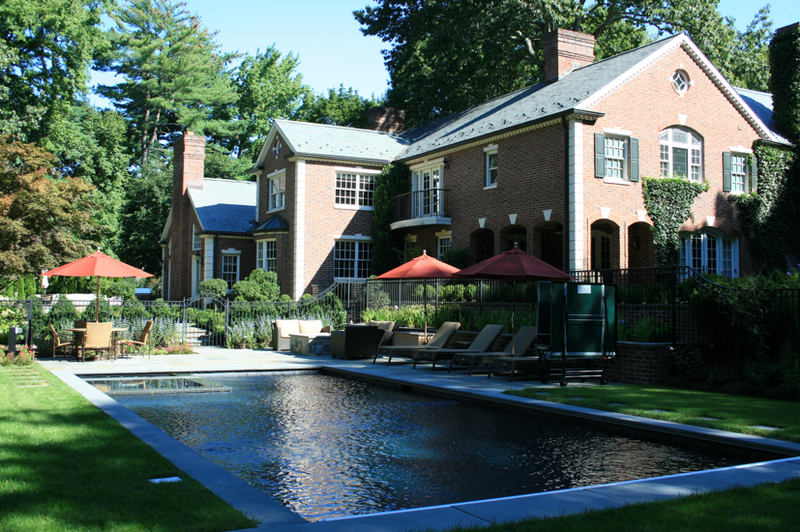 Swimming pools represent the personalities and lifestyles of their owners, by coming in a variety of shapes, sizes and styles. 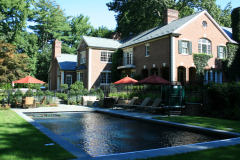 Besides the obvious recreational use and enjoyment, swimming pools allow for the opportunity to create outdoor spaces that may revolve around a pool house, trellis, and/or storage shed. By bringing structure to the landscape it allows you to create spaces such as gardens, planting beds and patio areas. Many times these spaces include lounge areas under a trellis, eating & dining areas focused around built-in grills or outdoor kitchens with counter tops, cozy sitting areas around fire pits or fireplaces. 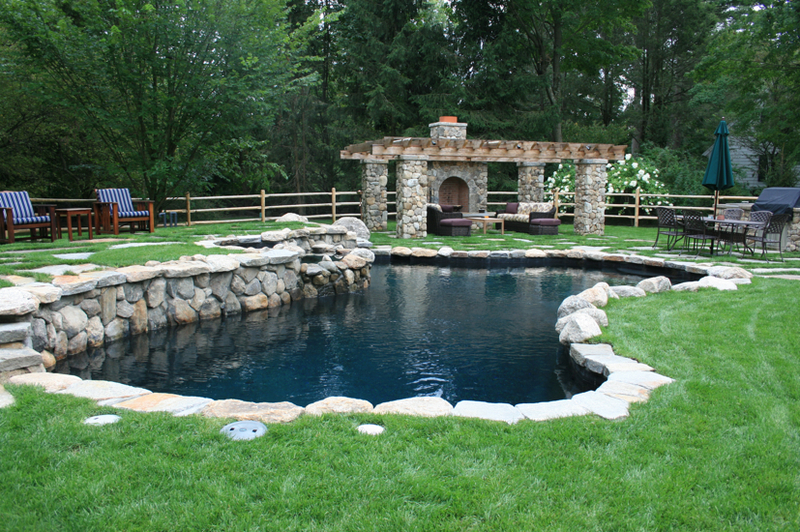 Pools are a major component of any landscape and Ambrosio Landscape Solutions will consider function along with aesthetics and will address all parts of the permit process with town municipalities. 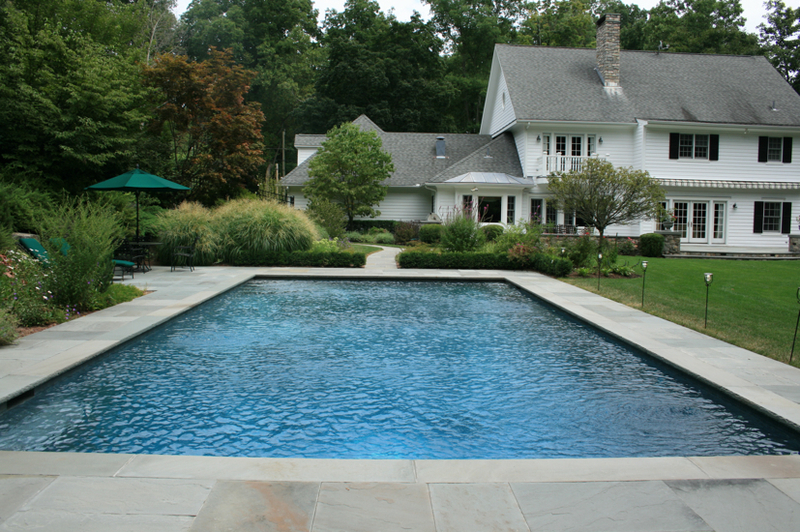 to plan out the swimming pool for your home.